Who can help Me with my Stripped Lug Nuts? Fast T's Tire Service in West Des Moines Can! 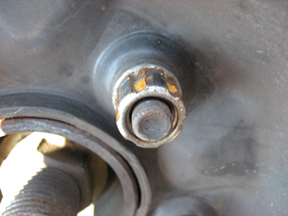 Our trained Tire Service Technicians have the proper tools at their disposal to remove stripped and rusted lug nuts, as well as locking lug nuts that do not have their corresponding lock nut keys. Removing a Stripped Lug Nut requires hands-on experience, the proper Training, and the correct Lug Nut Removing Equipment. From portable butane torches, cordless impact wrenches, and stripped lug nut sockets, to floor jacks, breaker bars, drills, and torque wrenches; Fast T's Auto Service Trucks are well equipped to quickly remove those pesky Lug nuts with ease! ​Its never a perfect day when you have a flat tire, because flat tires do not happen on a perfect day, but there is no more of a frustrating experience, than not being able to remove that last lug nut. ​When it rains it pours, but dont let that flat tire with a stripped lug nut, or a lost lock key, flood your day, Fast T's Tire Service will respond with urgency; traveling to your location, professionally removing that bad, rusty, stuck, stripped, or locked lug nut, and shead some light back onto your day with friendly, Professional, & Specialized Tire Change Technicians!